Bride alone at The Grove Las Vegas Wedding and reception venue, by the outdoor ceremony location. 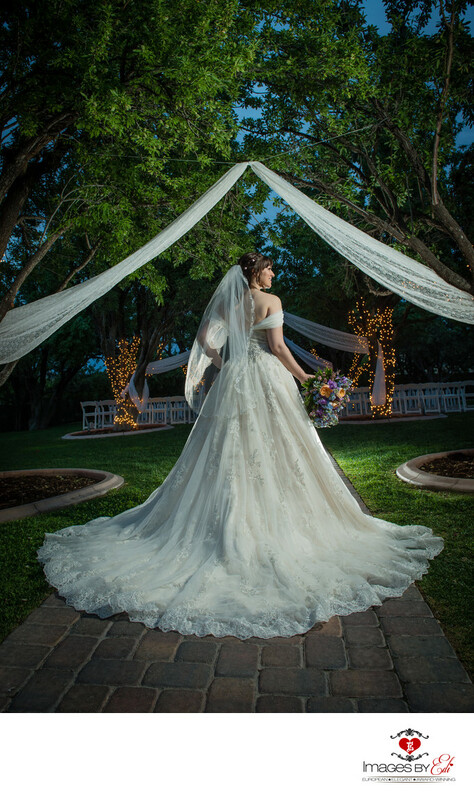 I love to photograph brides in their princess wedding dress, especially showing how beautiful the back of their dress. Location: 8080 Al Carrison Street, Las Vegas, Nevada 89131.